Bio-Limno Research & Consulting is an environmental consulting firm which offers prompt and reliable service at affordable prices. Bio-limno tailors its services to meet your special needs. 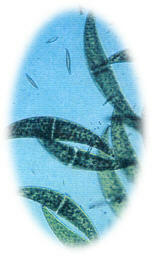 We specialize in a wide range of environmental services in water quality, including analyses of algae and zooplankton. For more information on our services, please visit the services page, or contact Bio-Limno. Last modified 16 Sep 2004.